Having planned events myself, I understand just how hard it can be to find just the right speaker for your event. Thank you for considering me. I am honored. I know you are looking for speaker that is going to connect with your audience and help you accomplish the assignment God has given you to invest in others. I want that for you too! Should you choose me as your speaker, I will do everything I can to come alongside you to see your purpose for your event accomplished. Together, we will partner with the Holy Spirit to empower others to know the truth, live the truth for that is what changes everything! Reply to all phone calls and email messages within 24 hours. Set up a phone connection between myself and a member of your team at the beginning of the planning process. Share on my social media channels your event if it is open to the public. A message, based on our discussion, that has been prayed over as well as prepared for. My full attention before, during and after the event, to both you and your attendees. To find out more information on having Lynn come to your group, contact us at Proverbs 31 Ministries by calling 1-877-P31-HOME or visiting https://proverbs31.org/experience. God has poured into each and every one of us a potential. When we were born, He had in His heart the potential of the women we would become. That desire, that craving we have to do great things is so that He can be great. He wants us to become women who are world changers. That is what you are … it is time you start calling yourself that. “I am a difference maker. I am on this planet to make a difference.” It is time to fulfill that purpose! Discover women in God’s word who overcame obstacles to change their community. Replace fear of failures past and fear of the future with Christ Confidence. Take your first step forward to become a difference maker. This topic is based on the lives of the Daughters of Zelophehad from Numbers 27. The courageous steps they took not only changed their lives, but changed the lives of women in the Hebrew tribe permanently. Because of them, women could inherit land, when before, if they were without a father, brother, husband or son, they were left with no provision. I want to be all God’s created me to be; do all I was made to do. So what’s holding me back? Doubt. Doubt that you have all you need to do all He’s given you to do. What you need is confidence. Realize you’re not alone in wrestling to move forward in life. Recognize the pieces you’re missing to help you to keep going. Restore the hope you’ve lost by arresting your fears, empowering you to accomplish your personal assignments. What does it look like to be a woman changing her world in this century? With all of the mixed signals our culture sends to us, we are living in a very confusing time as girls and women. Let’s open God’s word to see how God puts a high value on women, has always been calling women to impact the world and calls to us now to step up and make a difference right here, right now! Somewhere along this journey called parenting it just stopped. The child who clung to your every move now seems to run when you come near. Want to turn it around? As our children grow older, life just seems to become busier. Somewhere along this journey called parenting communication can all too easily stop. The child who clung to your every move now seems to run when you come near. Spot FOMO so we can see it for what it is: the strategy of our enemy. Replace the fear of missing out with the desire for God’s best. Overcome FOMO so it doesn’t drive us to damaging decisions. This topic is based on Eve and the strategy Satan used when he approached her in the garden. So often we think the troubles we deal with today are new with our culture … when in fact his tools are very old. Create confidence leading to higher self-esteem by discovering the love she craves. Shape her self-worth on Christ and overcome the temptation to base it on environmental factors. "Lynn Cowell is Proverbs 31 Ministries hidden gem and best kept secret. 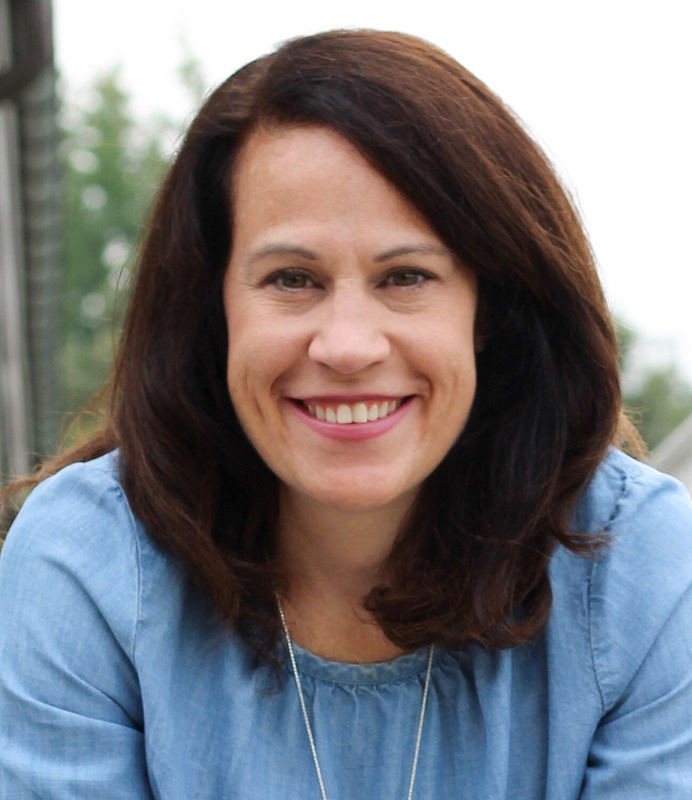 Lynn has a God given gift to connect with and relate to teen girls and moms when she talks about Jesus’ radical love for us, purity, friendships, guys, and all the other sacred and messy stuff in between. Lynn is making a huge impact in churches across the nation. Of all the conferences I’ve attended including nationally offered conferences, Lynn’s messages by far packed the biggest punch. Her words are God’s truth woven with her experiences from the wellspring of her love for Jesus and are conveyed in such a way the audience is left hungry for more and inspired to implement what they’ve learned." "It was a blessing to hear Lynn speak! Her love for God and His Word as well as her passion for speaking to women's hearts - pointing them to God as the source of their confidence so that they may then extend love to others in confidence - moved me to tears! My prayer is that we all become women, making our moves closer to the Lord so that we may grow in Him in our confidence, and make a Kingdom difference. Our God is not only a God that we serve, but a God that we love! I am so thankful Lynn came and shared from her heart and is obedient to God's call to speak. Her words that point to Him made a difference!" "It was a blessing to hear Lynn speak! Her love for God and His Word as well as her passion for speaking to women's hearts - pointing them to God as the source of their confidence so that they may then extend love to others in confidence - moved me to tears! My prayer is that we all become women, making our moves closer to the Lord so that we may grow in Him in our confidence, and make a Kingdom difference. Our God is not only a God that we serve, but a God that we love! I am so thankful Lynn came and shared from her heart and is obedient to God's call to speak. Her words that point to Him made a difference!" 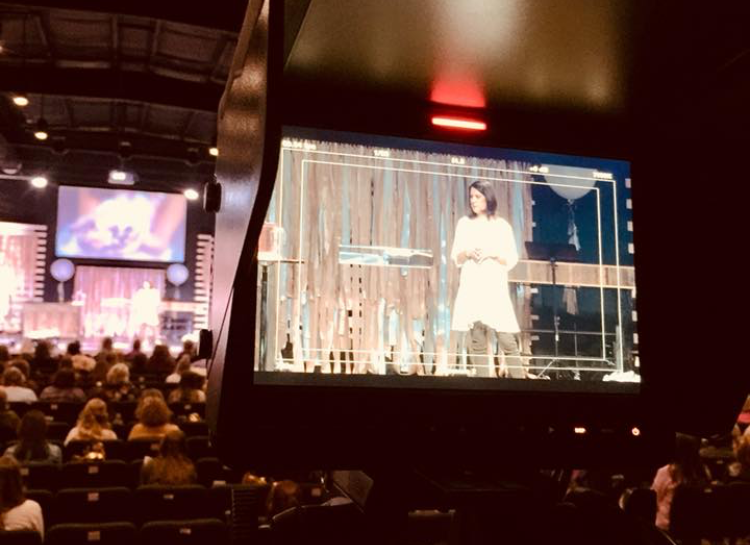 "I have been so excited to hear of the life change that has taken place in the the girls in our community who attended the conference we partnered with Lynn to host. One 17 year old girl shared how Lynn used a visual to teach them who can fill their heart with the love and acceptance they crave. This analogy changed many of their lives. She now knows to get her heart filled by God, the lover of her soul. Another 17 year old chose to end a three year relationship this week. He wasn't abusive or a 'bad guy' but she realized it was toxic for her. She said she kept hanging on to him desiring for him to value her and to make her feel whole. After the event, she realized Jesus is the ONLY one who can fill her. They both admitted they have heard the verses Lynn shared before, as well as this truth many times but it was her visual that helped them to truly understand. Another mom texted me, sharing a verse she found written on her 16 year old daughter's mirror after the event. This special day truly transformed their lives." "Lynn gives such practical sermons with great illustrations that help everyone remember the truths she shares from God’s Word. Our ladies left inspired by the 'Daughters of Z' and encouraged by Rahab and her scarlet cord. She is engaging and relatable, and her contagious love of Jesus makes you sit up and listen." "Lynn gives such practical sermons with great illustrations that help everyone remember the truths she shares from God’s Word. Our ladies left inspired by the 'Daughters of Z' and encouraged by Rahab and her scarlet cord. She is engaging and relatable, and her contagious love of Jesus makes you sit up and listen." 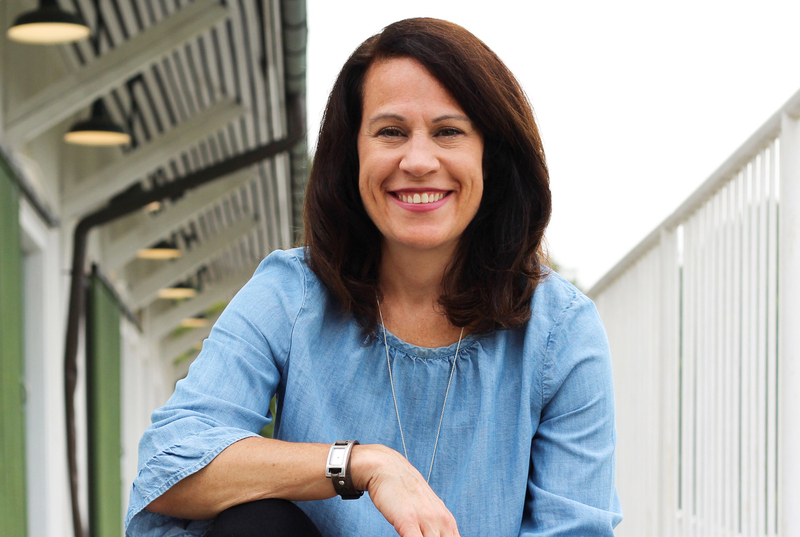 "If you are looking for a speaker who will inspire your community to become the women that God desires for them to be, Lynn Cowell is the perfect choice. In our planning meetings in the months prior, Lynn shared her heart and her years of experience. Even though she was miles away in North Carolina and we were in Illinois, she helped equip our team with helpful ideas for marketing and planning our conference. The feedback after the conference was overwhelming with what a wonderful impact she had on not only on the teens, moms, step moms and grandmothers who were deeply touched to help the young women in their life stay encouraged to choose wisely and follow God’s path for their lives. God has gifted her with the ability to reach young girls with the message that our identity must be in Christ and not in what their friends, boyfriends or media is pushing on them." "Lynn truly is a gifted speaker. I believe she has a way of connecting with everyone, young and not-so-young, that is surely not the norm when it comes to a public speaker. She's so easy to visit with, relax with. It was really a joy to have her with us, especially after getting to know her through studying her book with a group of our teen girls! Several individuals from our group have already requested that we bring Lynn back in the near future!"